In a sophisticated update on mid-century modern style, classical Kenney is presented with contemporary elegance. 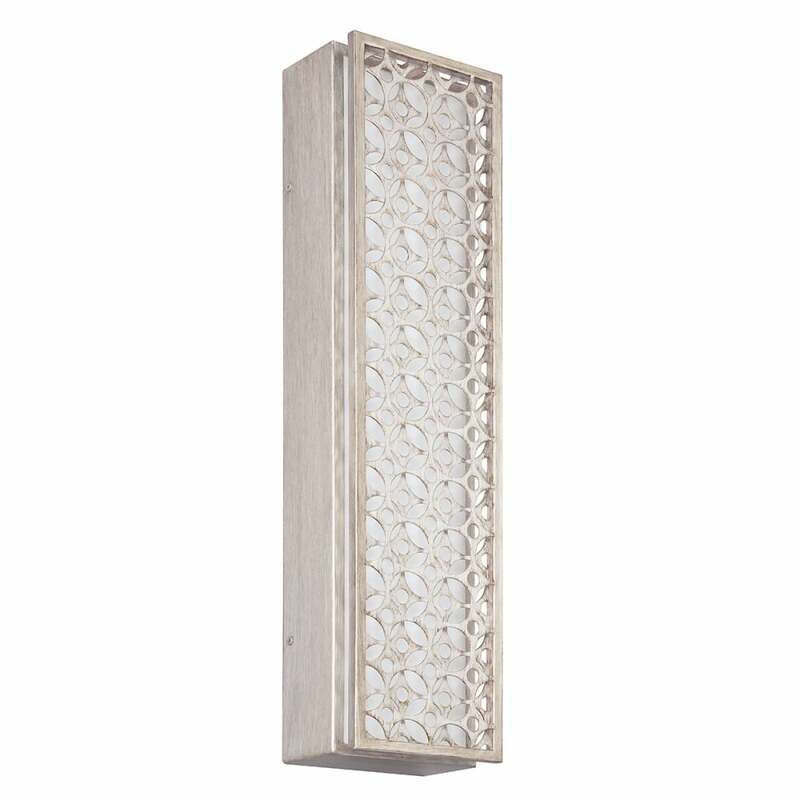 The tall, narrow structure of this light and strong, clean lines are perfectly married with soft white linen and intricate filigree detailing and integrated LEDs to impart a subtle glow that is perfect for settings where ambient lighting is required. Matching items are available – all finished in Sunrise Silver. View All Feiss for more information on Kenney or view the complete Kenney Collection.